Finding free news online, especially from reputable sources, is becoming more difficult. 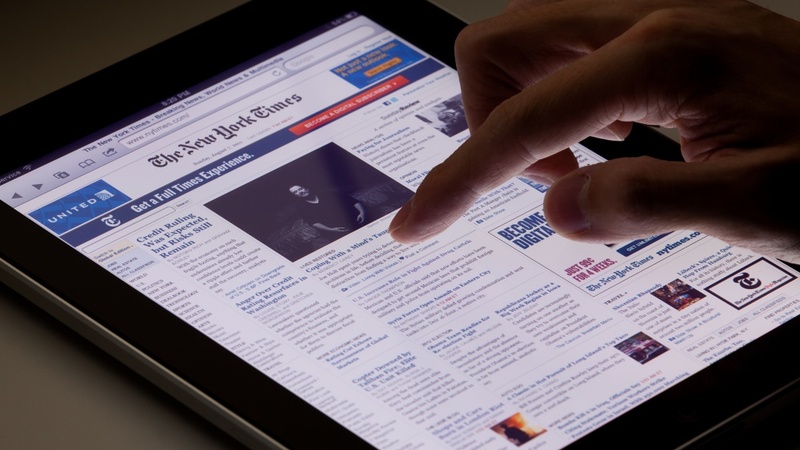 News organizations are increasingly putting content behind paywalls rather than relying solely on advertising revenue. Damian Radcliffe, a UO journalism professor, spoke with Agence France-Presse about the trend. The New York Times has 2.6 million paying subscribers. The Washington Post has more than one million. Meanwhile, smaller publications may face more difficulties in getting digital readers to pay up. The paywall trend has another potential downside: It could widen the “digital divide,” leaving only some of the population with high-quality news. Radcliffe is the Carolyn S. Chambers Professor in Journalism at the UO and a fellow at the Tow Center for Digital Journalism. He is a digital analyst, consultant and researcher. He regularly contributes articles about digital trends, social media and technology to outlets such as the BBC Academy, CBS Interactive and the Huffington Post.